Seal removed, I take a big whiff... reminds me of.... sniff again... actually kind of smells like that B-R creme brulee ice cream. It also kind of smells like Aunt Jemimah french toast, but stronger. Enough of this, let's dig in! Ummmmmm, ok, the flavor matches the smell, and at the moment, I don't mean that in a very positive way. That is one really odd quart of ice cream. I'm not really sure how to process it. There is this multifaceted flavor rolling over my taste buds but it's laced with things that I don't necessarily associate with french toast. Like I'm picking up the cinnamon, but not in a sweet sugary kind of way. And there's other stuff going on. Alright let's have some more bites as we check the ingredient list. Ha, whoa, I needed to dig down further to actually get in to maple syrup swirls. Let's see if they balance things out.... ok, I'm starting to understand this one better. I get the eggy vibe, I'm getting the crust flavor vibe, I get the seasoning vibe. It's french toast, I can't argue that, it's just so very different then what I was expecting. Ok, first small bowl is gone and I sit here debating how I feel. 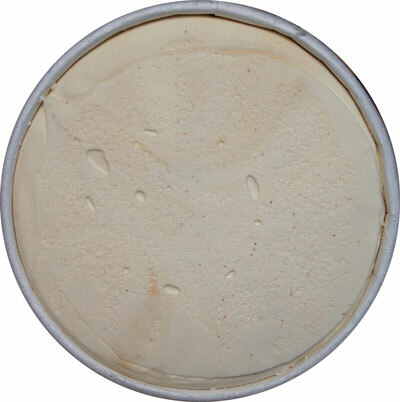 You may think me a little nuts, but if anything, this reminds me of Edys vanilla frozen custard. I just wasn't expecting the egg to play such a big role here... and yes, I feel dumb saying that when I am talking about french toast. My only defense is this. Have you ever had Farm Rich French Toast Sticks? Something more bready and sugary. We'll see how the second scoop goes later. On Second Scoop: It's flavors like these where I regret my inability to break down spice flavor profiles for you. The second scoop went in to a very quick breakfast sundae and despite the caramel, whip cream and Eggo french toast waffle, this ice cream is still very clearly pronounced amongst the other components. It's not awful, it's just not clicking with me at all. I'm a kid inside and this one isn't aimed at a kid. Is that an acceptable conclusion to this review, or am I still being too vague? The Mrs. Scoop: I decided to bring in reinforcements on this one. My wife tried this one and said it is definitely eggy, but then took that observation a step further and made the interesting note that it reminds her of eggnog. 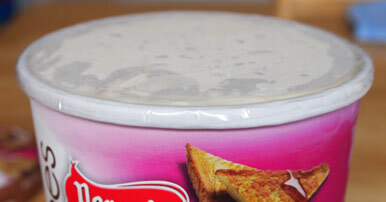 I go off to take one more scoop, and yeah, she called it, it's french toast eggnog. I hadn't thought of it that way but that would help explain why it's not clicking with me (remember, I don't like eggnog). Thanks to the Mrs. for offering to finish these off for me. Eww, eggnog. Glad Mrs. Dubba was able to help out though. You should have her do a guest post. 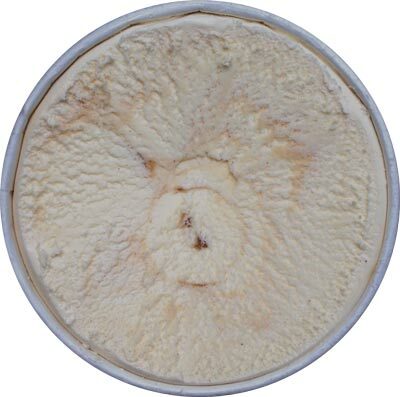 Was throughly grossed out to read the details of Blue Bell's listeria situation. I know it could happen anywhere but testing positive 16 times for listeria in the past three years really doesn't inspire confidence. And I do try to get her opinion on stuff but blogging has never been her thing. 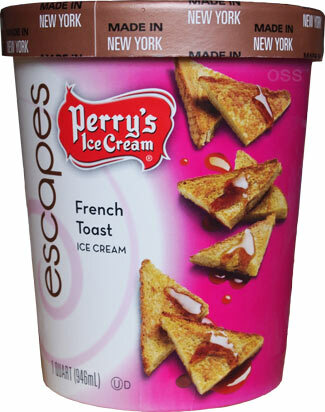 I love the idea of French Toast ice cream and although Perry's was not able to pull it off, I believe others ice cream companies could easily nail it. I would love to see this flavor produced by others companies. 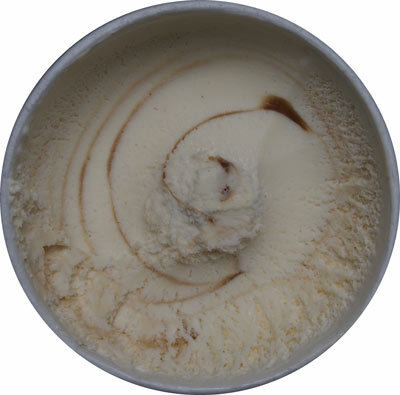 Like Cinnamon Buns ice cream, it could be a the next big thing in the ice cream world.